Get a better grip. Building on the original Gripmaster, the Pro edition takes hand exercising up to the next level, offering athletes, rock climbers, and weightlifters a solution for reaching peak performance. Focusing on the individual aspects of the hand, fingers, and wrist, it gives you a pocket-sized approach for improving flexibility and strength and lessening injuries. 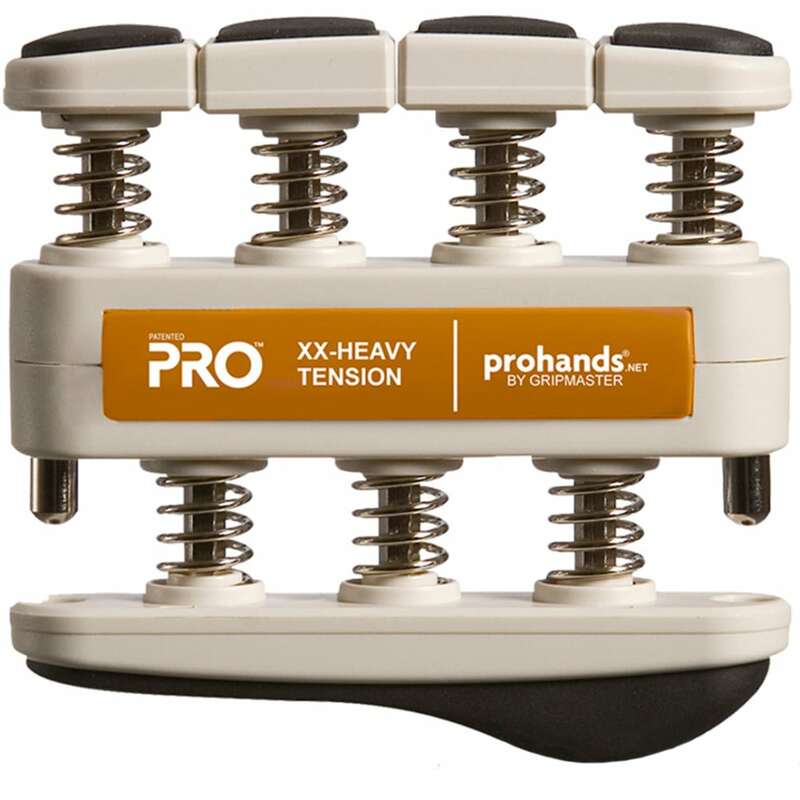 Unlike traditional V-grip methods, its spring-loaded pistons isolate each finger, thus reducing strain, imbalance, and forearm exertion.